It is my great pleasure and honor to welcome you to the FOOD-3 International Conference: “The challenges for quality and safety along the food chain” which will take place at 23-25 March 2017 in New Bulgarian University, Sofia, the capital of Bulgaria. The conference traditionally is held under the auspices of NBU Rector - Prof. Plamen Bochkov. NBU is highly honored to host FOOD conference again. 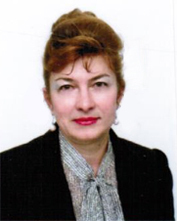 Co-organizers of the conference are Bulgarian Food Safety Agency, Bulgarian Society for Microbiology - a FEMS member and Institute of Microbiology at Bulgarian Academy of Sciences. Eminent experts of the Scientific committee have gathered together to share their expertise and contribute to a high-level scientific forum. Conference will cover and shape out diverse topics in food science as food and beverages quality and safety, contamination, microbiological control, toxicology, allergens and additives, assessment and audit, food biotechnology, nanotechnology in food, labelling and packaging, prebiotics and probiotics, organic food and GMO. FOOD-3 Conference will bring together prominent scientists and young researchers from more than 20 countries across Europe. The goal of the conference will also be to encourage young scientists to present their results. Exchange of ideas, results, and fruitful discussions on different facets will give fertile ground for fostering future cooperation. Along with keynote international speakers, leading experts of the Bulgarian National Food Safety Agency and main food industry branches will present their expertise, promulgate and discuss current and future challenges as well as the hot topics in food science. Join us in Sofia, share your expertise with the participants, get in touch with recent advances in the field, debate, update your professional network and contribute to advance FOOD-3 in high-level scientific forum. We are sure you will enjoy Sofia and the conference. Sofia, a compelling city which interlaces in a lovely way ancient charm of thousand years history and pulsating up-to-date exuberance - is waiting for you.